Husband and wife Berni, 49 and Tina, 40, always knew they wanted a big family, but struggled for six years to get pregnant. In 2010, the couple had their first daughter, Luzia, via in vitro fertilization. In 2012, they had Maria, born via surrogacy. After a short period, they embarked on another IVF attempt, transferring embryos to both Tina and the surrogate they'd used before, but neither took. 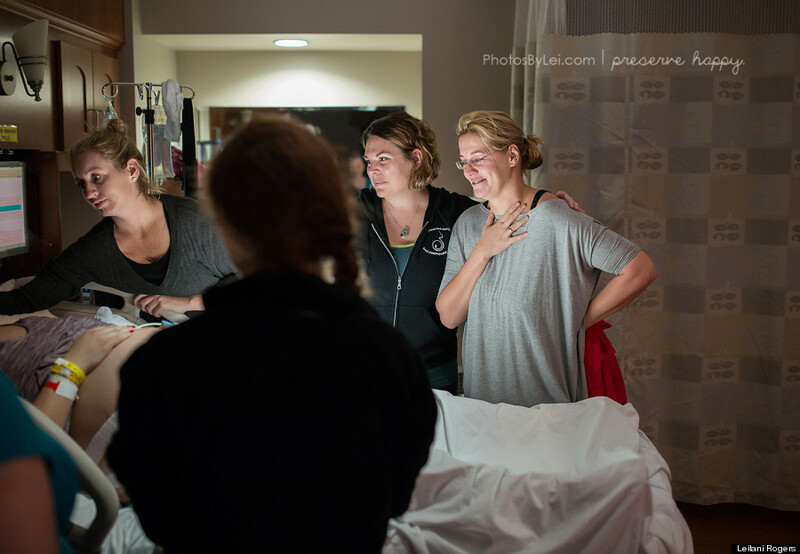 Here, in her own words, Tina describes the birth experience, which was captured by Austin, Texas birth and breastfeeding photographer Leilani Rogers as a surprise arranged by Leticia, the surrogate mother, for the intended parents. "I've always, even as a child, wished to have many children. We often joked and said at least one football team. But life goes how life goes -- first you study and build a career, and many things seem to be much more important, so you believe you still have enough time to have children." 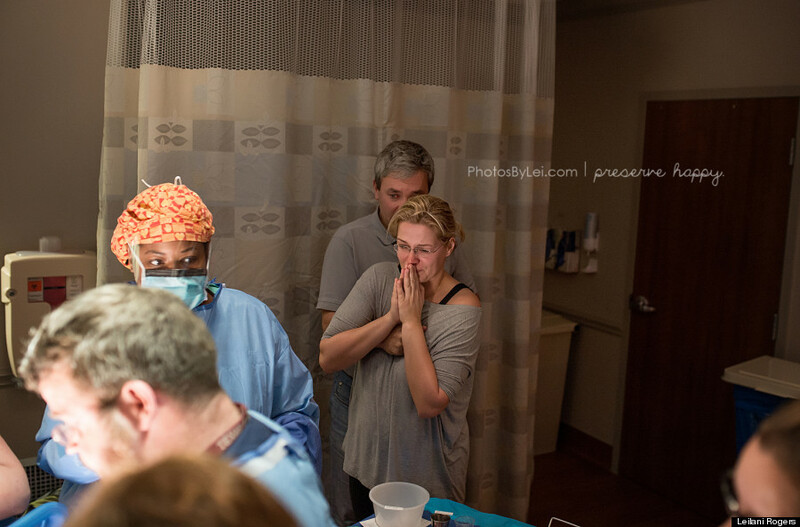 "There were many people in the room, but also so much love, support, help, understanding, and so many emotions." 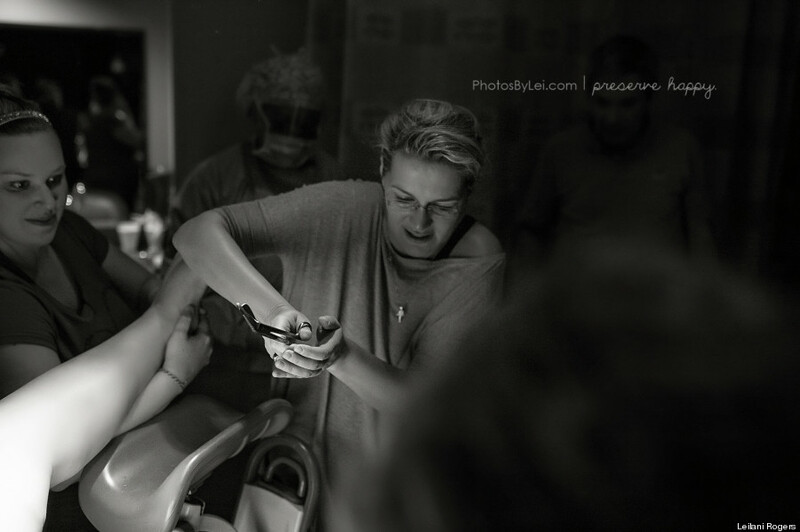 "The whole clinic stuff was incredibly great. I've never experienced such a team, or such a wonderful doctor. We call him our hero." 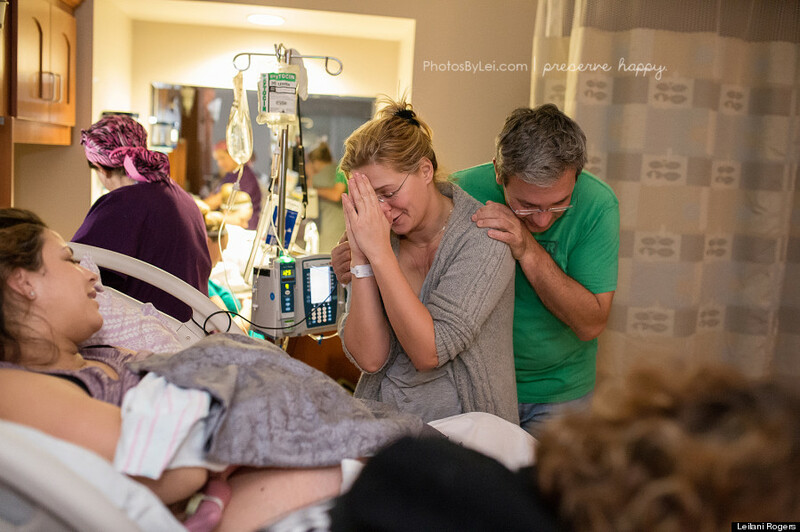 "We are so thankful that we were able to share these extraordinary moments with our babies, our surrogate mum -- everyone. You do not think or feel in moments. The experience is without time." "The emotions, we cannot describe with words -- you can see them in the pictures. It is pure love, pure hope and praying, pure adoring and wondering." 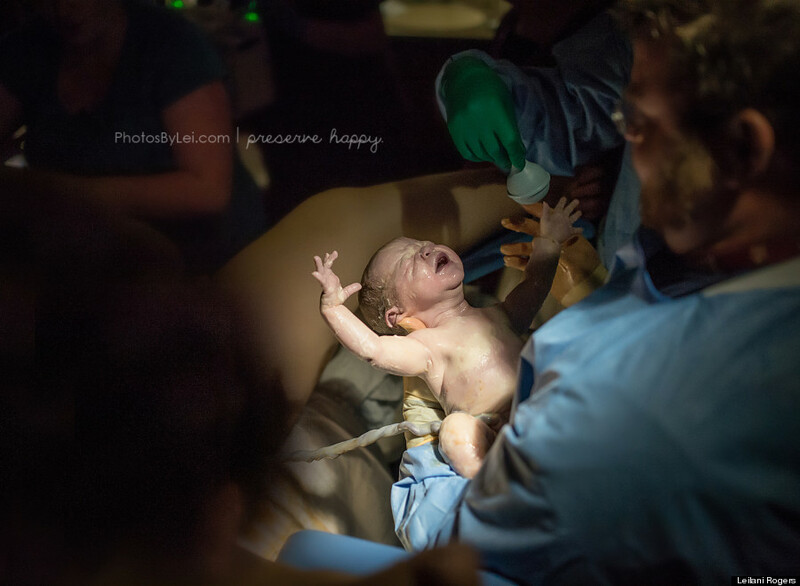 "We made a birth plan, together with our surrogate mum, which detailed many things. 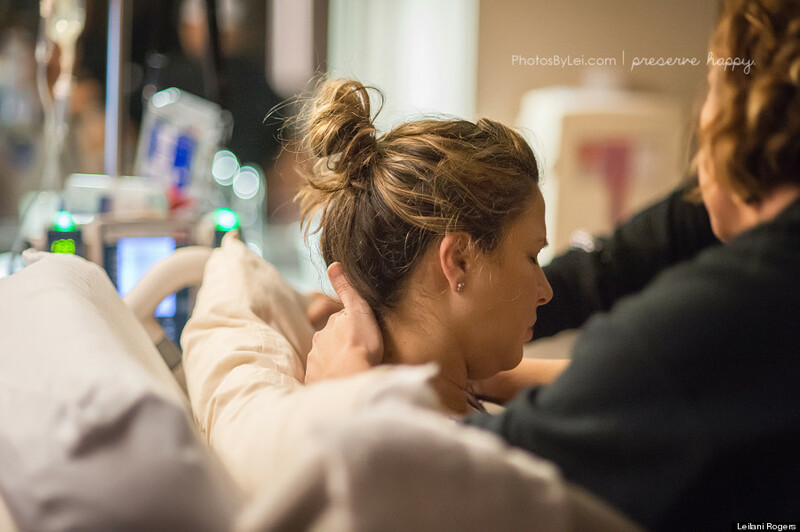 The most important was that we would cut the cords if possible, and that we would bond as soon as possible with the babies via skin-to-skin." "Surrogacy is still illegal in Austria, so it is a bureaucratic challenge to manage the whole process, but it is nothing as soon as you hold your babies in your arms." "We stayed in the U.S. for four weeks –- we wanted to enjoy our time together and to give the babies as much time as possible before going on their exhausting journey home. My parents visited and helped us for two weeks, and it was marvelous, unforgettable time for our family." "Livia and Benedikt [a boy and a girl] are 6 weeks now. They are growing fantastically, and doing great. 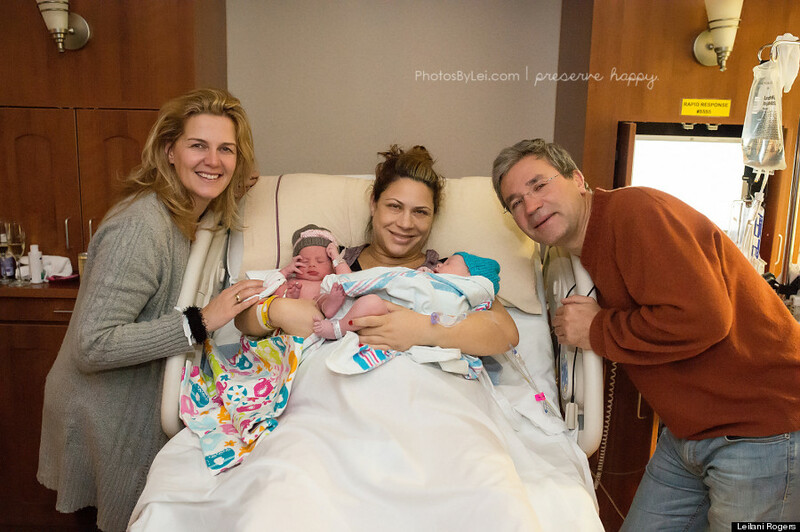 We say thank you to all who helped us and accompanied us on our path -- thank you to Leticia, thank you to Jamie [the first surrogate mother], thank you to everyone who helped make us a family." This account has been edited and condensed. To read more from the surrogate mother's perspective, visit Rogers' website.